The sawdust consists of the fine particles of wood, so to some degree, it is also a kind of energy. 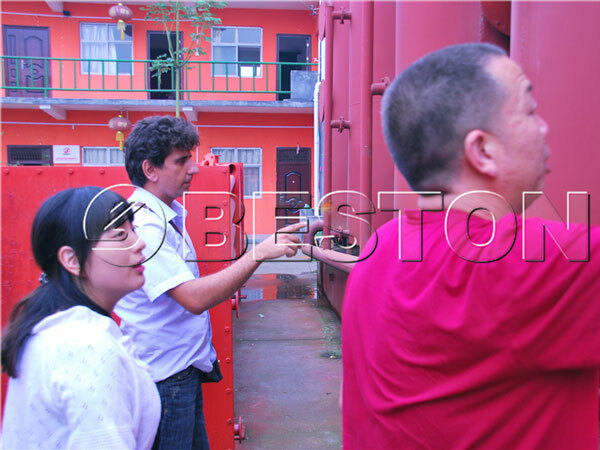 Beston sawdust charcoal making machine can help you make charcoal from sawdust. The rate of the charcoal yield is 4:1. If the quality of the raw material is higher, the rate can be 3:1. The tar and wood are also the end products. First, it adopts the latest the biomass carbonization technology, which makes the plant is eco-friendly to the environment. Second, it can make a great contribution to the biomass waste recycling. Third, it has specific demands for the raw material in size and water content. For size, it should be between 40-50 mm, and for the water content, it should be below 20%. And we can provide you with the crusher and dryer basing on your need. Fourth, it can not only carbonize the sawdust shavings, wood shavings and other kinds of shavings, but it is also efficient in making charcoal from coconut shell, palm kernel shell carbonization, wood carbonization and so on. Fifth, it is energy saving and money saving. During the carbonization process, there will be combustible gas produced, and the special design of the plant makes the combustible gas can be recycled and then be used to heat the reactor. Thus the energy cost is lower. Moreover, the plant works in a continuous way, so the labor cost is also lower. What’s more, the service life of our machine is between 7 and 8 years, so the plant is worthy investing. 1. The sealing system can make sure that the whole carbonization process is completed in a oxygen-free environment. So the plant will not threaten the health of the operators. 2. Over pressure automatic alarm system can also ensure that the plant is working in a normal pressure, which can not only protect the plant, but can also ensure the safety of the operator. 3. The protecting shell outside the plant can protect the operators from being hurt by the high temperature. 4. The professional cooling and dedusting system makes the temperature of the charcoal is around 30℃, and the charcoal is clean to use. With the development of technology, the applications of the sawdust are also wider, and making charcoal from sawdust is a great improvement in waste recycling and disposal. Because compared with other methods, using this machine can bring more benefits without harming the environment. 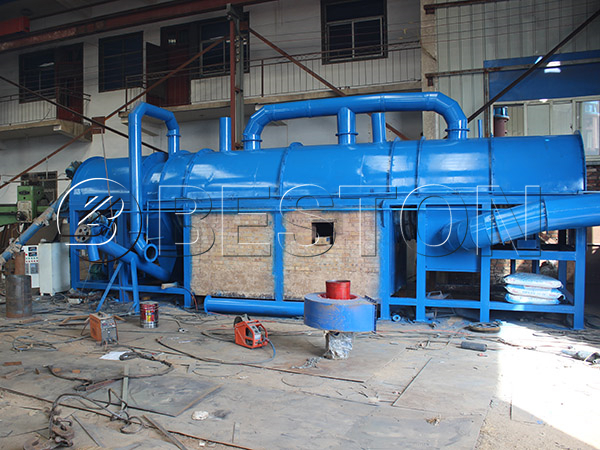 Beston sawdust charcoal machine varies from capacity and the collocation, and if you want to invest in this machine, please contact us online. At the same time, we will give you a reasonable price.